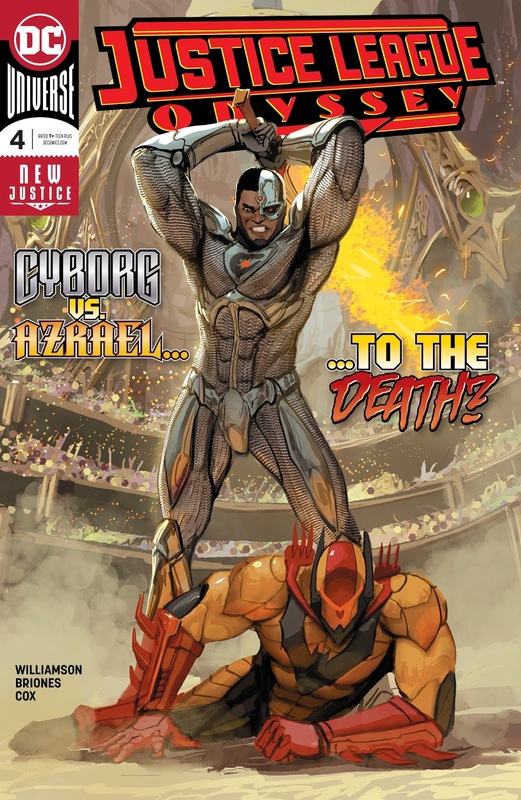 DC Comics Universe & Justice League Odyssey #4 Spoilers & Review: Cyborg Worshipped, Azrael Stalked, Darkseid’s Interesting New Mistress & More! DC Comics Universe and Justice League Odyssey #4 Spoilers and Review follows. 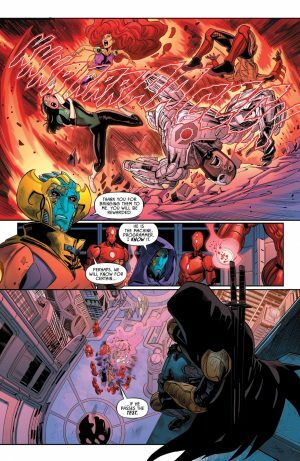 …Darkseid’s Interesting New Mistress and More! 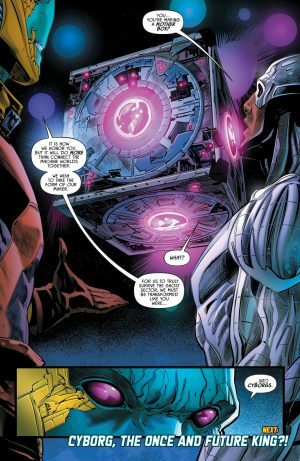 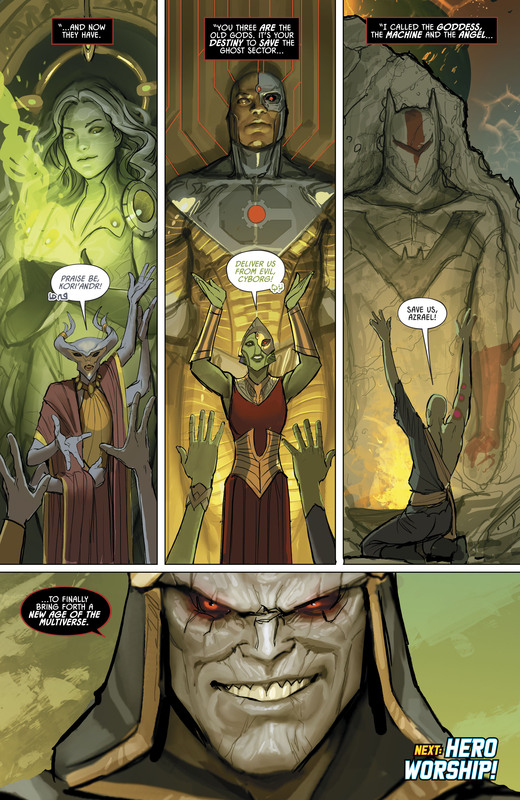 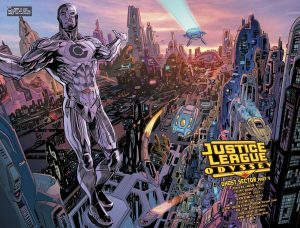 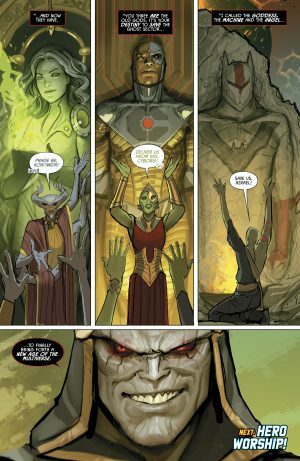 As a bit of refresher, it seems some of this Justice League team are seen and worshipped as the Old Gods in the Ghost Sector as revealed in JLO #1 (full spoilers here). 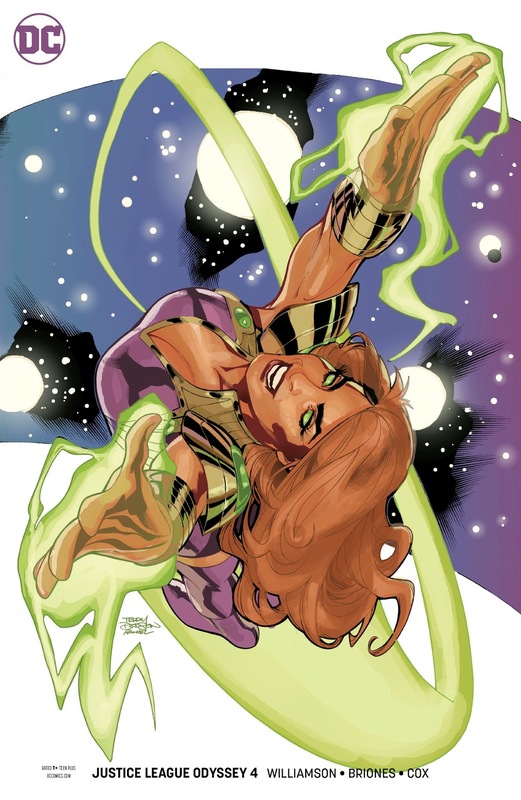 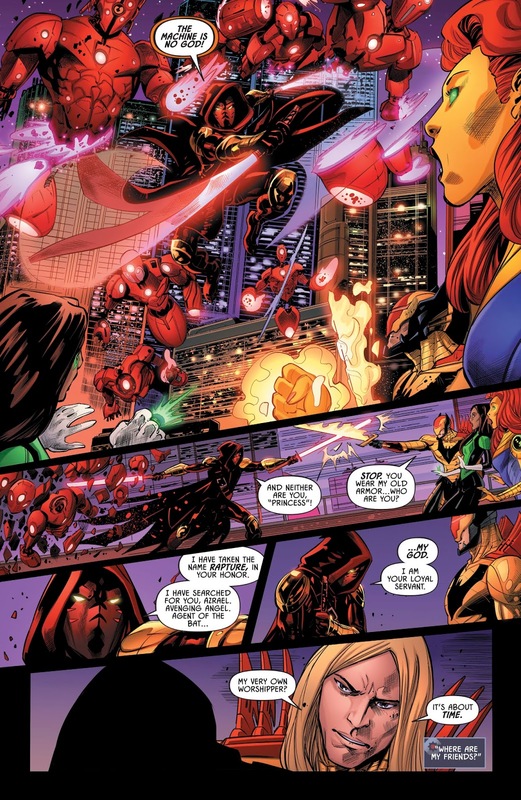 Last issue we explored the world where Starfire is worshipped. …they are friends of Cyborg or not! 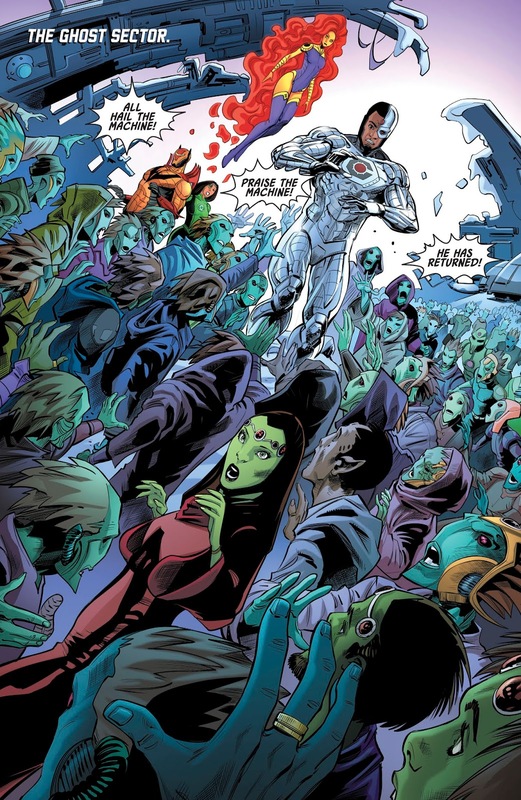 Plus, yes, that appears to be Rapture hovering above. 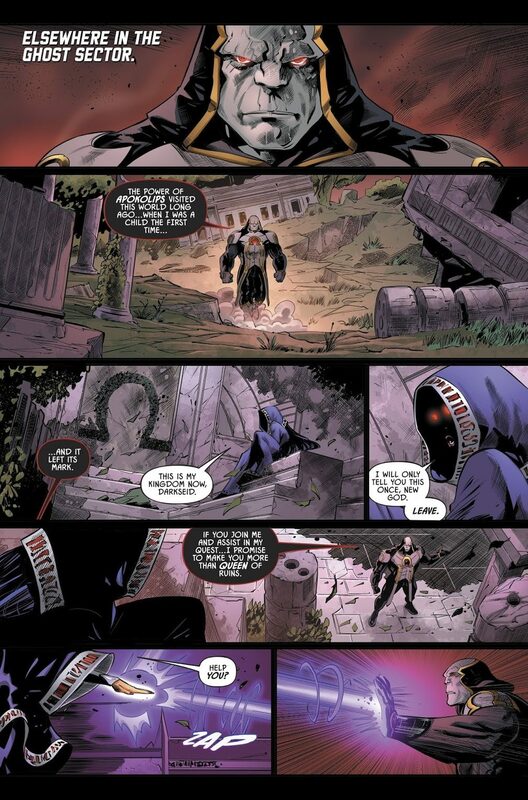 He debuted last month as a stalker of Azrael it seems (full spoilers here). 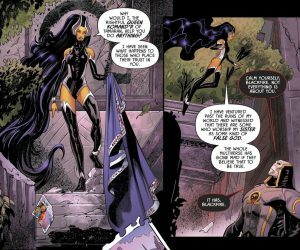 …Starfire’s “evil” sister Blackfire to his efforts to save the multiverse? 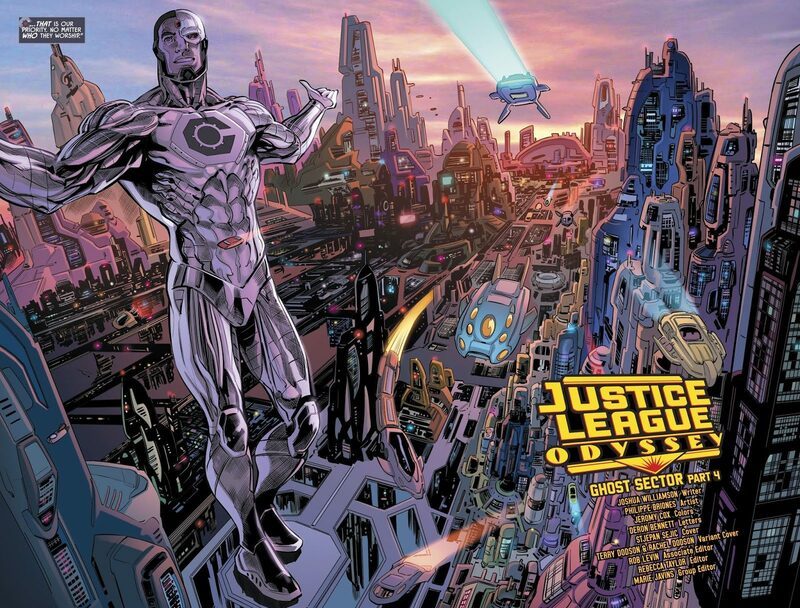 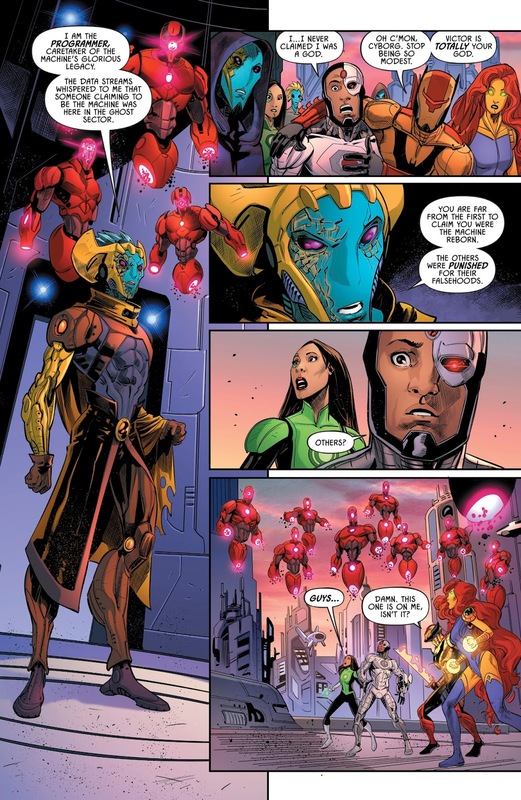 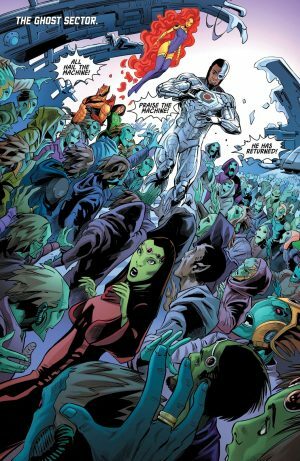 …Cyborg witnessing just how advanced the society that worships him is!